I recently attended my first Nike+ Run Club (NRC) meet. 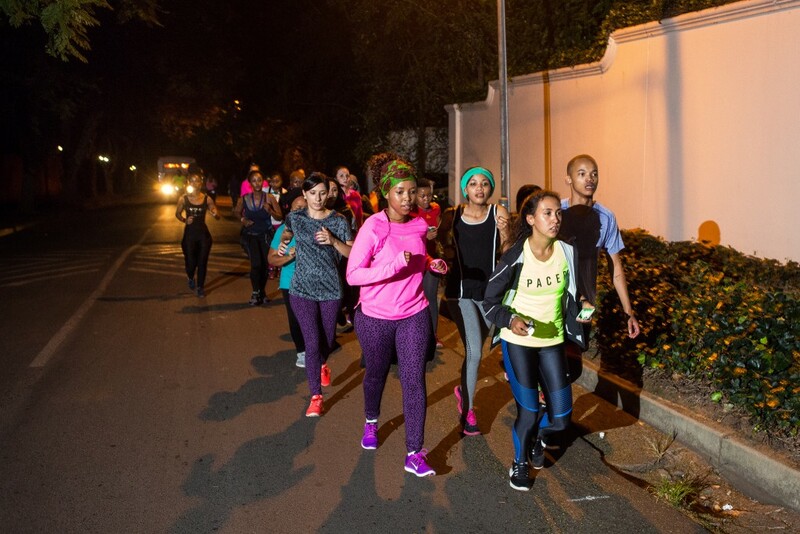 I had heard about it before and seen the club members running through the streets of Rosebank , but always thought it was for ‘serious’ runners only. However, if there is anything I have learned by now about Nike and their clubs, are that they are non exclusionary and take very much the “all is welcome” approach. 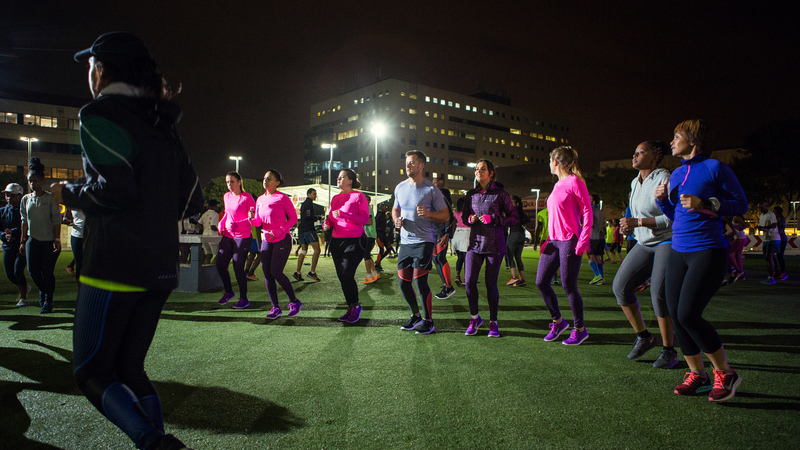 Nike+ Run Club (NRC) is a community of athletes at all fitness and skill levels getting together to challenge and encourage one another. So whether you’ve never run a single kilometre before, are a seasoned runner with several marathons under your belt or somewhere in between – there is a place for you at NRC. I guess I would categorise myself as “somewhere in between” having run a few half marathons and now having taken some time off due to injury, this community of runners welcomed me with open arms and I immediately got the sense that it was possible to get running fit again. Who better to lead and inspire a group of running enthusiasts than someone who started out just like the newbies and is now a seasoned Comrades alum. So how it works is, there are 4km, 6km, 8km and 12km running groups, and within those distance groups, there are groups divided by speed (eg. 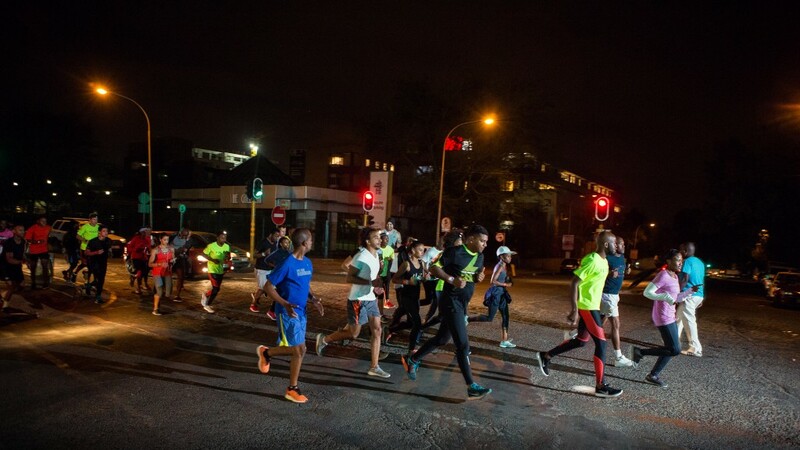 7-7:30 per km or 6-6:30km per km) – each group is led by a pacer, who leads the group and makes sure everyone stays together safe and sound and maintains the required pace of that group. I liked the flexibility that if you happen to feel stronger and can run faster, you can run ahead and join a faster group. It’s a great motivator to get a group of friends together and give it a go. Much like Nike+ Training Club (NTC) – this club, NRC, is also free of charge. Also, if you don’t have the right sneakers, you are allowed to borrow a pair to use for the duration of the club run. Nike gives you NO excuse not to come and give it a go. In typical Nike style, they have thought of everything and you can track all your runs, whether doing an NRC run or one on your own, via the Nike+ run app. It can be downloaded free of charge via the App store. Runners get the most out of Nike’s expertise and service through personalised engagement with Coach Peteni Kuzwayo and his pacers. I am looking forward to attending my next NRC meet! 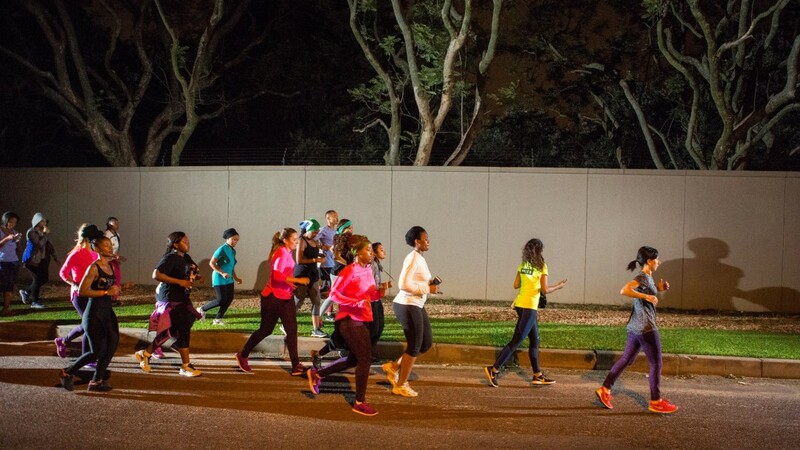 To see the schedule, go to NRC Joburg sessions via the local site Nike.com/Joburg.